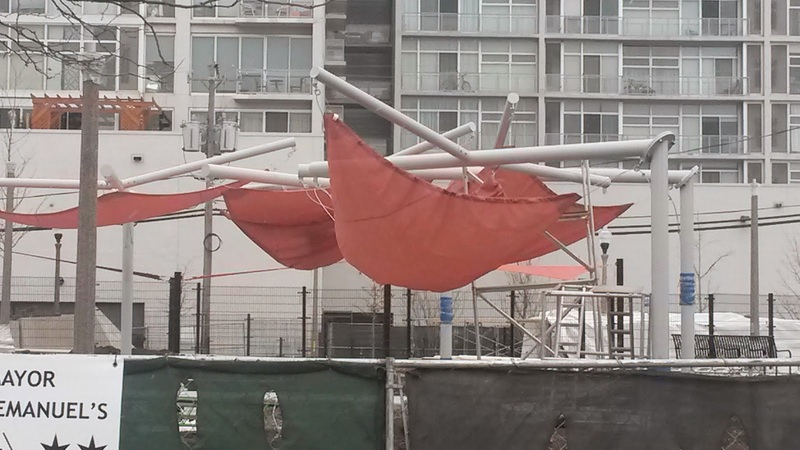 Sloopin - A South Loop Blog: Design Fail at Fred Anderson Dog Park? 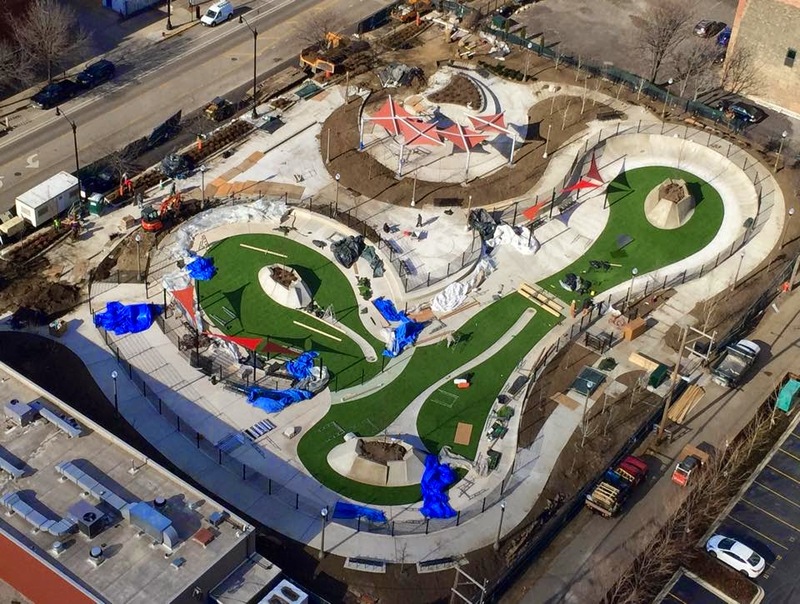 The new park currently being built just south of 16th and Wabash has a very interesting "sail like" feature (photo above). It ought to be interested seeing how much snow it can collect/hold before ripping apart this Winter Season. Not sure what the designer was thinking? As you will recall things are moving quickly at the Fred Anderson Dog Park. Last we heard they were shooting for a mid-November opening. Judging by this picture we found on Facebook, it looks like they're pretty close to opening.